A National Hockey League player says that Fortnite is banned from the team’s roadtrips in favour of team-building experiences. Bo Horvat of the Vancouver Canucks says that Epic’s battle royale is “definitely a no-go” while the team is on the road. Plenty of other sports stars have discovered that Fortnite can actually be a help rather than a hindrance. During this summer’s Football World Cup, England captain Harry Kane said that Fortnite was an important part of the squad’s downtime during their surprise semi-final run. As well as winning over players from the Premier League, Fortnite has proved popular amongst members of the NBA and NFL. 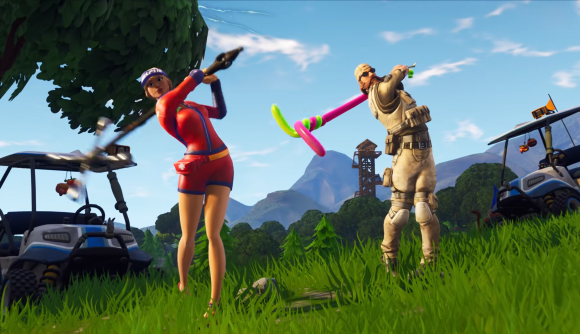 In the NHL and MLB, however, Fortnite is proving unpopular among coaching staff, who have dubbed it a significant distraction.